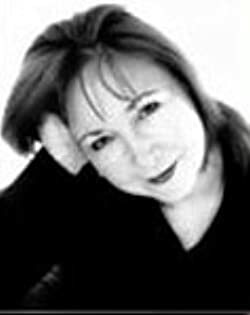 Colleen Collins is an award-winning author of romance, mystery and nonfiction. HEARTS IN VEGAS, the third book in her private-eye romance series from Harlequin Superromance (July 2014). SLEEPLESS IN LAS VEGAS (2013), the second book in the private-eye romance series, is a 2014 Award of Merit winner from the Virginia Romance Writers. Colleen's books have placed first in the Colorado Gold, Romancing the Rockies, and Top of the Peak contests, and placed in the finals for the Holt Medallion, Coeur de Bois Readers Choice, Award of Excellence, More than Magic, and Romance Writers of America RITA contests. She's a member of the Mystery Writers of America, Private Eye Writers of America, Romance Writers of America and Sisters in Crime. Please enter your email address and click the Follow button to follow Colleen Collins! One-Click Buy: October Harlequin Blaze by Debbi Rawlins,Carrie Alexander,Karen Foley,Colleen Collins,Jule McBride released on Oct 1, 2007 is available now for purchase.